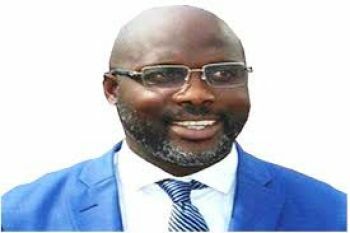 The President of the Republic of Liberia, His Excellency Dr. George Manneh Weah, has sent a Congratulatory Message to the Government and People of the Kingdom of Morocco on the occasion marking the 62ndIndependence celebration of that country. In the message to His Majesty King Mohammed VI, President George Manneh Weah, on behalf of Liberia, extended heartfelt congratulations and best wishes to the Government and People of the Kingdom of Morocco as they celebrate this historic occasion. The Liberian leader expressed confidence that the cordial ties of friendship and cooperation subsisting between Liberia and Morocco will be strengthened in the spirit of African solidarity as both countries work together in furtherance of the principles of the African Union and the United Nations for the promotion of regional and international peace, security and economic cooperation amongst all nations. President George Weah then prayed that the Almighty Allah will continue to endow King Mohammed VI with abundant wisdom and strength as he leads the people of Morocco to greater prosperity.